Catherine is an undergraduate at Harvard College studying Integrative Biology with a secondary field in Global Health and Health Policy. In the past, Catherine has worked on synthesizing novel antibiotics to decrease antibiotic resistance in ampicillin at Brooklyn College and evaluating mutualistic relationships and the gut microbiota of Ceratophaga moths at Harvard’s Museum of Comparative Zoology. 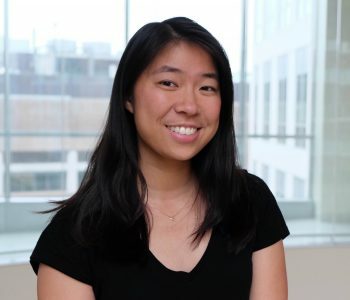 She has also worked on quantifying the quality of healthcare with the Harvard Global Health Institute and is particularly excited that at this lab, she can combine her interests in evolutionary biology with concern about issues in global health. A First Record of Anatrachyntis badia (Hodges 1962) (Lepidoptera: Cosmopterigidae) on Zamia integrifolia (Zamiaceae). Hua C, Salzman S, Pierce N.